Fornos of Spain. All photos by Julie Seyler. My little New Jersey town conveniently straddles two big cities – Manhattan and Newark. I can make it to downtown Newark in 15 minutes, and on a Sunday, sans traffic, can drive to Manhattan in 20. But it’s a hard sell to get my Manhattan friends to bridge or tunnel it over to the Jersey side for anything, much less dinner. Why would anyone leave Manhattan to eat? And eat in Newark? For the 25 years that I’ve lived nearby, a suggestion to dine in Newark has provoked comments from the uneducated about how they don’t understand how I could live so close to a city that they consider to only have bragging rights as a murder capital. Given that Newark’s Ironbound district rivals any Manhattan neighborhood for flavor of both the palatable and neighborhood kind – they are missing out. 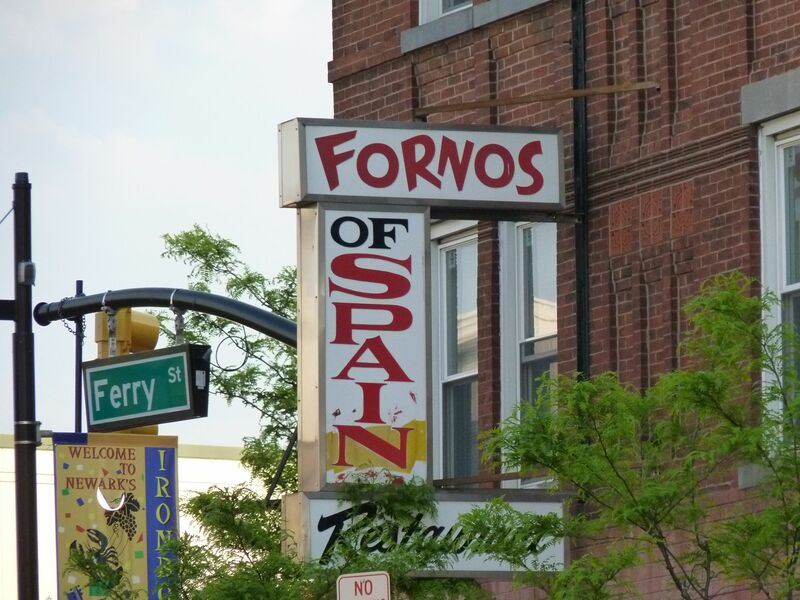 In the Ironbound section of Newark, New Jersey there is a restaurant called Fornos of Spain. It is readily accessible from Manhattan via either the PATH or NJ Transit to Newark Penn Station. Last week, Lois and I dined there with our contributor buddies, Frank and Bob. 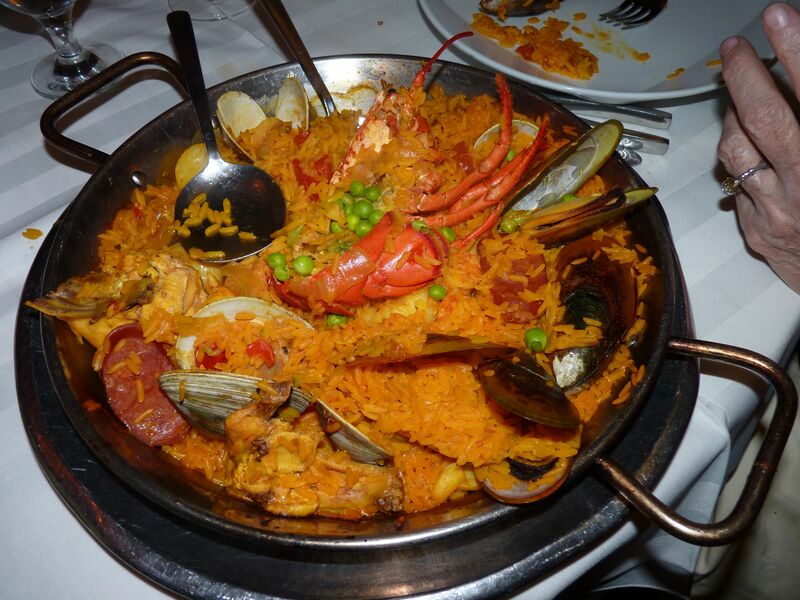 We reveled in clams casino and gambas al ajillo; grilled grouper, paella valencia and filled-to-the-brim pitchers of sangria. 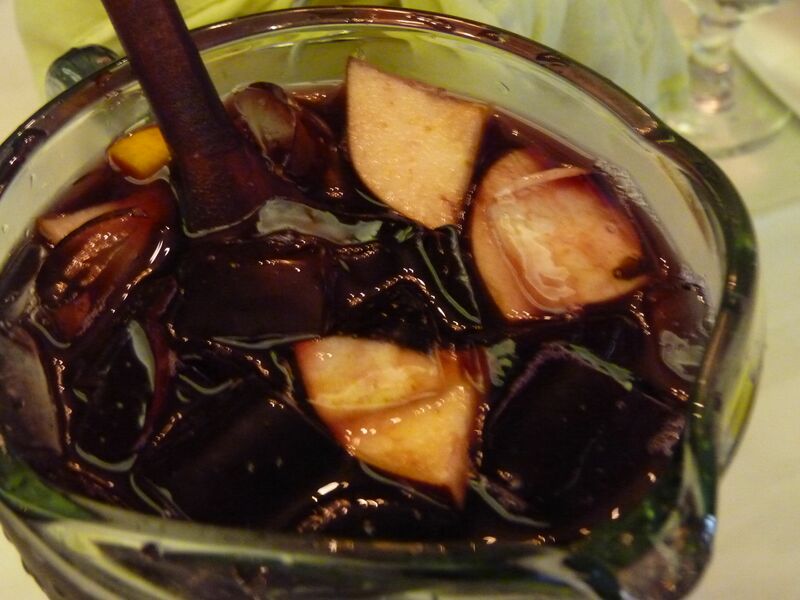 I am pleased to say the sangria was not cloyingly sweet, as I, too, as this New York Times article points out, remember it being when I was drinking it in the 1970s. The next day I set about looking for the Fornos, you know, the restaurant “of Spain.” I assumed that the Newark joint was a scion of a famous place in Spain, probably Madrid. An Internet search just turned up thousands of reviews of the Newark restaurant. I discussed the dilemma with Lois, who had a simple explanation: ‘Well, Jule, fornos means ovens in Portuguese, therefore the restaurant is actually called the Ovens of Spain.’ What? I mulled this over. That doesn’t make sense, because if fornos means ovens in Portuguese, why didn’t they call the restaurant Fornos of Portugal? And even that is not the final word on the subject because couldn’t there be a family named The Fornos? Maybe they came from Spain. So, what’s in a name? Whether it’s forno, or Newark? What I do know is that I want to go back to Newark’s Ironbound and find a Portuguese restaurant without “Spain” in the name.